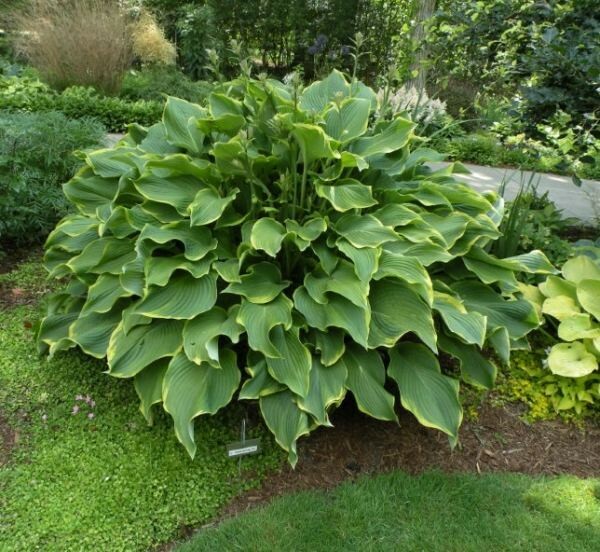 Med/Large: 28″ high by 60″ wide mound of green-centered, gold-margined foliage; leaves 12 1/4″ by 8 1/2″ (15-16 vp) with a 1/4″ margin; leaf blade ovate-shaped, wavy, and slightly corrugated. 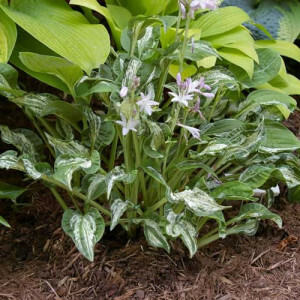 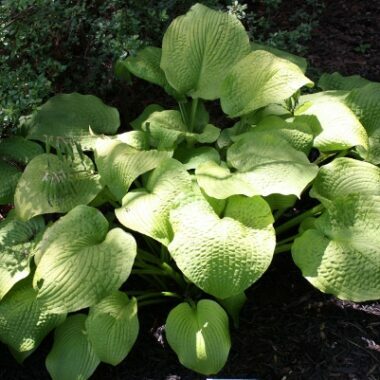 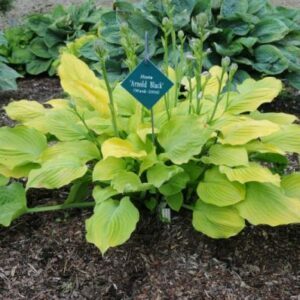 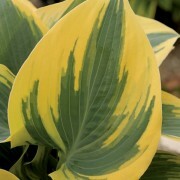 ‘Abba Dabba Do’ Hosta Beautiful large mound of dark green leaves with a light gold margin. 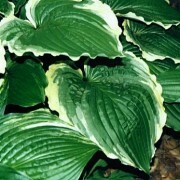 Leaves are long, lance-shaped and slightly twisted. 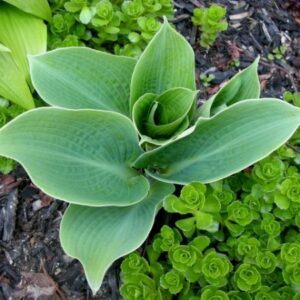 When this plant first emerges in spring it is all green, then the gold margin becomes evident shortly after. With age the margin does widen some. 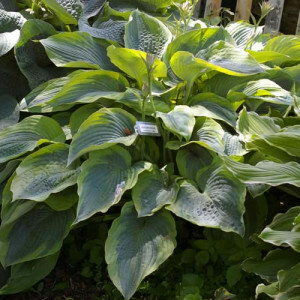 Fast growing, sun tolerant, classic!